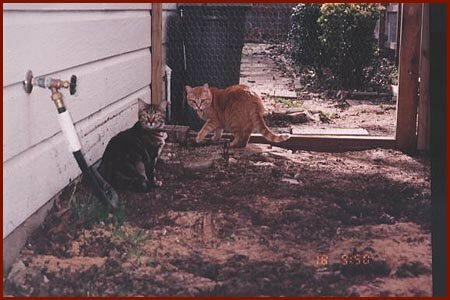 Back in Febuary 1995, Dad and I built a medium sized cat run between my garage and the wooden fence separating my backyard from my neighbor's. At the time Tiger was 4 years old and Linda was 6 months old - I didn't have any other cats at that time. The cat run is approximately 7ft wide, 17ft long, 5.5ft high. 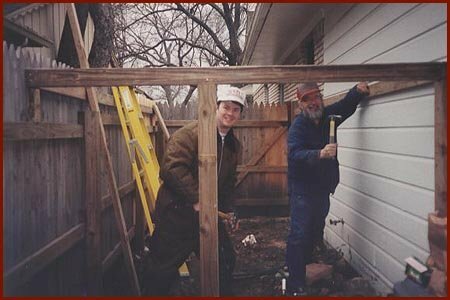 It was fairly easy to build - we just needed to install a chicken wire roof, endcap and door. 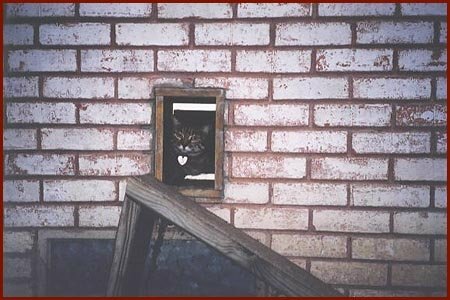 Dad handled the task of chipping through my brick to install a kitty door giving the cats the ability to leave my house and enter the cat run at will. I added a few shelves to give Tiger and Linda something to climb on. They love spending time in the catrun. 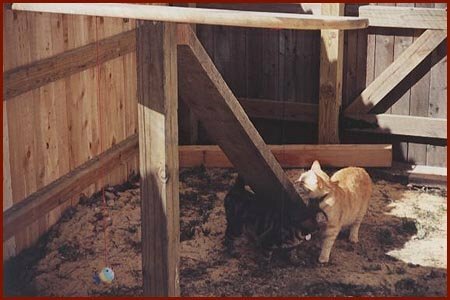 And they have enjoyed the larger cat enclosure that I built for them seven years after I built this cat run. If you don't have the latest version of the Windows Media Player you can get the free version by clicking here.